Lobban v Minister for Justice – what occurred in this case? The United States authorities alleged that Mr Christopher Lobban met Ms Robin Pagoria on-line where he advised Ms Pagoria how to ‘discipline’ her children. A warrant for Mr Lobban’s arrest was issued in Polk County, Florida, United States of America. Mr Lobban was charged with: promotion of a sexual performance by a child, solicitation to commit aggravated child abuse and solicitation to commit lewd or lascivious battery. On 16 July 2011, Mr Lobban was arrested pursuant to a section 12 warrant issued in Australia under the Extradition Act 1988. Mr Lobban was remanded in custody and placed in extradition detention. A determination was made under section 22 of the Extradition Act 1988 (Cth) that Mr Christopher Lobban would be surrendered to the United States of America. This case was an appeal of that decision with the applicant seeking a declaration and order to quash the determination that was made. What were the grounds of appeal challenging the extradition? That the surrender determination was made as a result of inflexible policy. The surrender determination was made in a manner which was wednesburyunreasonable (wednesbury unreasonableness is reference to the test applied upon judicial review to assess whether an administrative decision was reasonably made. If it is found that the decision was so unreasonable that no reasonable authority could have decided that way, then the decision can be quashed). The determination constituted a disproportionate exercise of the power in section 22. What were the main concerns surrounding the extradition to the USA? The above circumstance should have been a consideration, whether the Minister should have refused to surrender Mr Loban for extradition. What were the legal issues raised by the extradition to the USA? McKerracher J stated that the Attorney-General is bound to consider the specific matters in s22(3)(a)-(e) and is conferred a general discretion in s22(3)(f) on whether to surrender a person for extradition. Section 11 provides that the Extradition Act 1988 will apply to the extent that a regulation of the Act specifies limitations, conditions, exceptions and qualifications necessary to give effect to the bilateral extradition treaty. Regulation 4 of the Extradition (United States of America) Regulations (Cth) provides that the Act is to apply in relation to the bilateral Treaty. This means that Articles of the Treaty on Extradition Between Australia and the United States of America are considerations that the Attorney-General is to have when making a determination of surrender. What was the Court’s finding in relation to the grounds of appeal challenging the extradition to the USA? Ground 1: A failure to take into account a relevant consideration only arises when the decision-maker is bound to take into account that particular factor under the statute. McKerracher J found that the issues were expressly identified in the Brief handed to the Minister for consideration. The Minister was expressly advised of his discretion to refuse surrender if he considered a domestic prosecution to be more appropriate. Therefore, it could not be contended that the Minister failed to take into account a relevant consideration: whether surrender should be refused because a domestic prosecution would be more appropriate. Ground 2: The Minister was expressly advised that Australia’s long standing policy on extradition was not to refuse extradition on the basis of nationality and that there was no basis to depart from that policy in this particular case. Similarly to ground 1, it was a consideration given to the Minister within the Brief which was open to take into account. Ground 3: McKerracher J pointed out that wednesbury unreasonableness allows a court to interfere with a decision that is ‘so unreasonable that no reasonable authority could ever have come to it’. Mr Lobban submitted that there were 4 reasons why the decision was unreasonable which are outlined below. Prosecution in Western Australia was an alternative: There was no obligation on the Minister to first consider whether prosecution could occur domestically before deciding to grant the extradition request. In taking into consideration section 3 of the Extradition Act of particular relevance is the object of enabling Australia to carry out its obligations under the extradition treaties so that the statutory purpose of the Act was achieved by the Minister’s determination, after having due regard to the considerations in s22. The punishment would be severe: In this regard, McKerracher J stated that severity of punishment would inevitably be different between nations. That is why safeguards exist, particularly that of dual criminality and specialty assurance. The only qualification expressed in the Act is that a person must not be susceptible to torture or penalty of death and no further protection is offered under the Treaty itself. Therefore it cannot be said that the severity of the punishment in Florida renders the determination legally unreasonable. Fundamental human rights that are being affected: Again, it is inevitable in extradition that a surrendered person may face different trial processes and penalties. It is also inevitable that if convicted, rights of the individual will be curtailed. This is inherent in punishment. Failure of the Minister to consider such cases does not show that the wrong test was applied. They were made available to the Minister but there was no mandatory obligation for the Minister to consider them. Grievance of delay, namely between the date of his eligibility for surrender on 30 April 2012 to the date the Minister was handed the Brief – 18 October 2014. McKerracher J found that there was no undue delay in the proceedings, additional time was required in order to properly assess the submissions made on behalf of Mr.Lobban throughout the court of the extradition proceedings. There can be no suggestion that the Minister did not respond as soon as reasonably practicable after receipt of the Brief. Ground 4: It was contested that a disproportionate exercise of an administrative discretion can be judicially reviewed. It is also submitted that a proportionality analysis as part of legal unreasonableness is required when a discretion may result in the infringement of a person’s human rights. Section 22(f) grants a beneficial discretion to the Minister not to extradite a person even when all mandatory requirements are satisfied. However, while disproportionality may be a factor to take into account in considering a legal unreasonableness submission, it is not a recognised ground of jurisdictional error in Australian law: Bruce v Cole at 185. 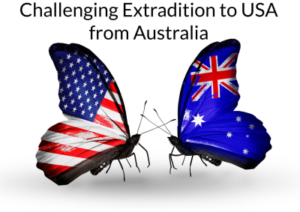 What was concluded by the Court in this extradition between Australia and the USA? As none of the grounds were made out, the application was dismissed.